Animal supplements help balance the digestion and immune systems of farm animals, minimizing the need for harmful anti-biotics and hormones. We carry a selection of natural and organic supplements that provide essential nutrients and promote healthy flora in your animals. 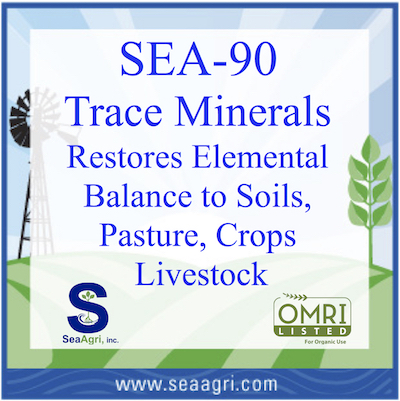 One of our new feature products this year is Sea 90 for animals as well as the Sea 90 for Ag use.